From staphylococcal (staph) infections to kennel cough, it’s vital our pet’s food and water bowls are routinely cleaned. While many bacteria and skin infections can be treated with medication, it’s important to reduce future infections – or try to prevent them from occurring in the first place. As the only elevated pet food system that’s certified safe for humans, the PetComfort Feeding System takes cleanliness and your pet's health to the next level by using food-contact safe silver-based antimicrobial agents that will discourage staining from mold and bacteria growth and odor. 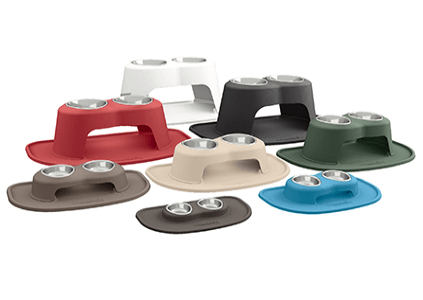 The PetComfort High Feeding System offers a more comfortable way for your pet to eat. Made in the USA, each part is durable and designed for easy clean-up. 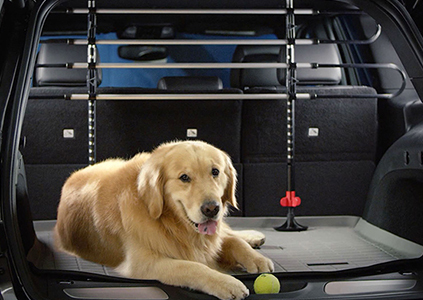 The WeatherTech Pet Barrier is an adjustable and expandable heavy-duty barrier that keeps pets safely secured in the rear of your vehicle. No tools or drilling needed! 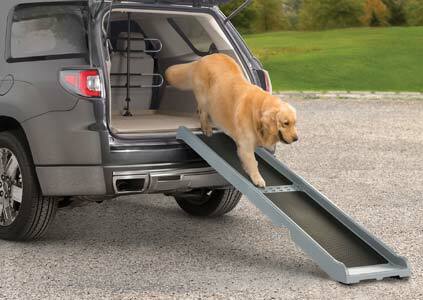 The WeatherTech PetRamp helps dogs and pets of all sizes access those hard to reach areas in SUVs, vans, and even household spaces. The portable PetRamp features specialized traction pads molded directly into the ramp, that are easy to clean and maintain!